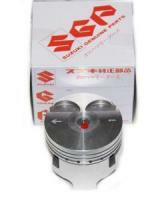 Suzuki Carry Piston K6A (Single) Suzuki Replacement Piston. Note: Piston Pin Sold Separately. Include chassis number when ordering.